Fonterra’s subsidiary Glencoal has put its plans for an open cast mine on SH2 at Mangatangi on hold indefinitely. The local community is celebrating. They worked very hard with submissions on all the impacts of coal mining that you are allowed to talk about in consent hearings – water, dust, traffic – but not climate change, the worst impact of all. We hear Fonterra was really surprised at the strength of the opposition. 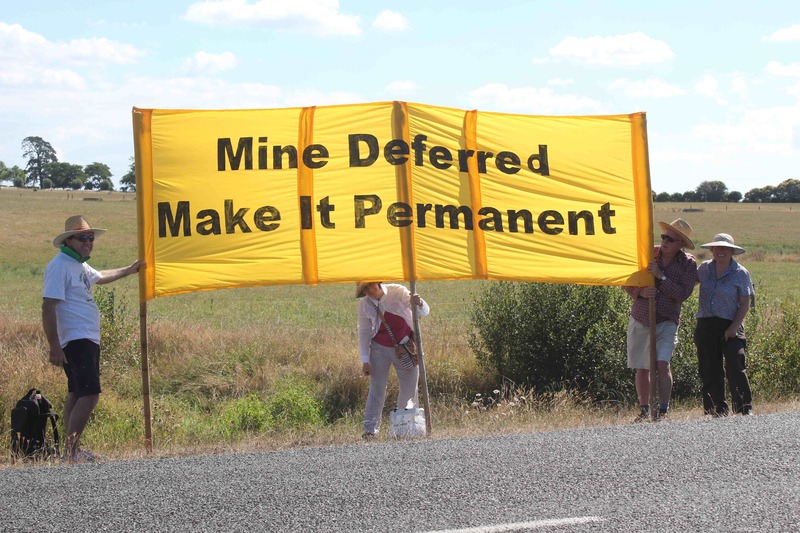 The mine was planned for such a public site, adjoining SH2 and the protests got some publicity, as did CANA’s opposition at the consents hearing. We brought expert evidence (PDF) to show wood chip from forestry residues was available and technically feasible as a boiler fuel with no net carbon emissions. This is what a win looks like. But…. Solid Energy has just reopened Kopako 1, an old mine around 5km away which still contains a lot of coal, on a back road hardly anyone ever a uses except for mining. It’s part of the same Maramarua coal field. They have a contract with Fonterra to supply more than 100,000 tonnes a year for their Waikato milk drying plants. Fonterra has just sneaked round the corner and passed responsibility for the mining to Solid Energy. From the perspective of the atmosphere, nothing has changed. Emissions will continue as planned. But we have shown that Fonterra is susceptible to pressure. All those motorists tooting support for the ACA protests has got to them. They have had to sneak away to a less public site. But it’s not that easy. Now is the time to keep up the pressure. Fonterra is the third largest coal user in the country by far. With the Huntly power station phasing out they may already be the second largest, after the steel mill. At least 400,000 tonnes a year – we are still working out just how much more than that. This is not compatible with the “clean green image” they like to use to sell their milk overseas. There is a big opportunity here for Fonterra to position themselves as working towards sustainability by transitioning to wood waste. In fact they told us they were doing that, but are dragging the chain. We intend to keep the pressure on to help them recognise their own self-interest. PreviousGlobal Divestment Day Is Coming. Here’s How To Take Part.